SCIENTISTS at the University of Huddersfield have been using world-class new facilities to carry out experiments that could aid the development of nuclear fusion reactors, widely regarded as the "Holy Grail" solution to future energy needs. By simulating the damage caused by high energy neutrons and alpha particles produced during the fusion process, the Huddersfield researchers have discovered that tungsten — a favoured choice of metal within the reactor — is liable to become brittle, leading to failure. "At this moment in time, even though tungsten is a leading candidate, we don't see how we can use it as a structural material. We can use it as a barrier, but not for anything structurally sound," states Dr Robert Harrison, who is a Research Fellow at the University of Huddersfield's Electron Microscopy and Materials Analysis Research Group (EMMA). The answer will be to develop a new alloy that combines tungsten — which has desirable properties of extreme hardness and exceptionally high melting temperature — with some other material that can prevent its embrittlement from radiation damage and nuclear transmutation reactions, which would have significant safety implications for the operation of the reactor. 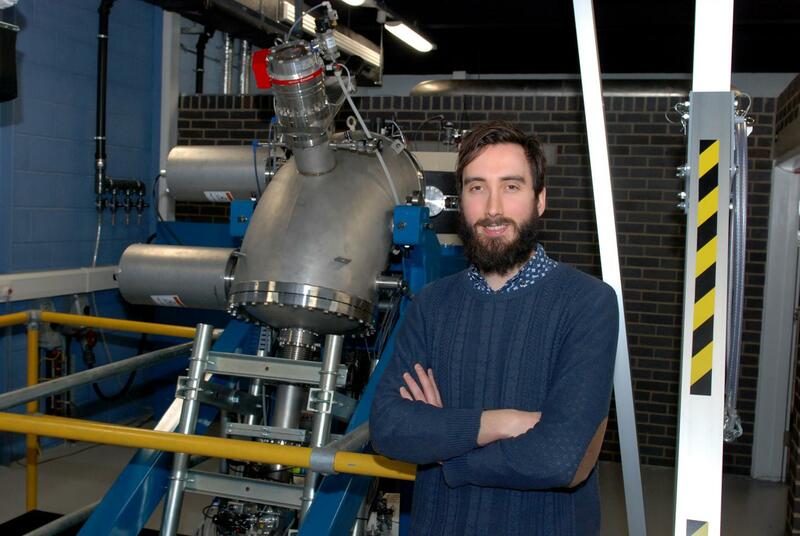 Dr Harrison and his colleagues have access to the University of Huddersfield's Microscope and Ion Accelerator for Materials Investigation (MIAMI) facilities. These combine ion irradiation with transmission electron microscopy. Newly-opened MIAMI-2 – developed with an award of £3.5 million from the Engineering and Physical Sciences Research Council – has dual ion beams and is one of the world's leading facilities of its kind. By using both helium and tungsten ions to safely replicate the alpha particles created during a fusion reaction and the neutron bombardment, the EMMA researchers have been able to replicate the damage caused to tungsten. The findings are described in a new article in the journal Scripta Materialia, authored by Dr Harrison with Dr Jonathan Hinks and Professor Stephen Donnelly. Progress is being made towards the development of nuclear fusion, which fuses atoms rather than splits them as in a conventional fission reactor. Under construction in France is the International Experimental Fusion Reactor, which aims to be the first reactor that produces more energy than it consumes. At the Culham Centre for Fusion Energy in Oxfordshire, the Joint European Torus (JET), is the world's largest operational magnetic confinement plasma physics experiment, intended to open the way to future nuclear fusion grid energy. Advocates for nuclear fusion state that it has the potential to generate almost limitless, clean energy that is "too cheap to meter". Research such as the University of Huddersfield investigation of tungsten could help bring the breakthrough closer.